Part of the United States of America! 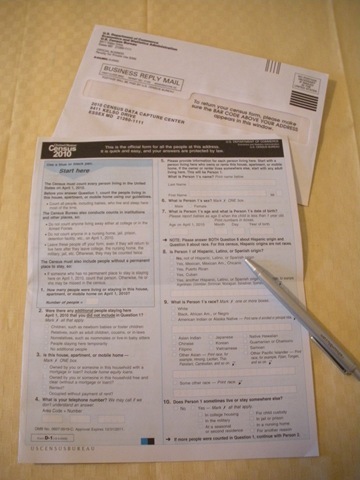 The U.S. government is currently carrying out the 2010 census and since everyone living in the U.S. is supposed to participate, I also got a form to fill out. In some weird way, it gave me as a foreigner in this country a sense of inclusion.